When the seventh-largest shipping line in the world, Hanjin Shipping, declared bankruptcy on August 31, 2016, it surely seemed that the world came to a halt for a couple of seconds. With an estimated 85 to 90 of its vessels spread out on the seven seas, Hanjin Shipping altered the course of business for several industries. An estimated $14 billion of cargo, ranging from televisions to textiles to spicy kimchi, has been stranded at several ports. Analysts of the shipping industry believe that it could take many years until all contracts are fully cleared. Let’s review the three lessons in contract management from the Hanjin shipping bankruptcy. As of September 10, 2016, Hanjin reported that 14 ships of its fleet were bound for U.S. shores. 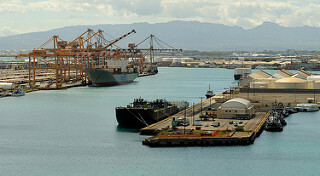 Before each one of these ships can dock in local ports, several parties, including port operators, cargo owners, longshoremen, and shippers, must reach financial agreements with Hanjin. One major challenge is figuring out who absorbs the cost of handling empty containers from Hanjin ships. Instead of further complicating the issue, the South Carolina Ports Authority took the initiative of charging a $350 fee on empty containers brought to the port to be sent back to Asia to cover labor costs of handling the containers. The Port Authority is willing to return the charge to customers if Hanjin eventually pays the authority for those costs. In order to avoid potential penalties and breaches of contracts, customers would be happy to take the $350 fee and try to satisfy their existing contracts as best as possible. Lesson: During a mad scramble, present opportunities to create goodwill with your customers. They will remember who helped them out during those difficult times. In advance, set pre-approved guidelines that your contract managers can follow to help out customers during times of distress. As a result of the Hanjin bankruptcy and the beginning of the holiday shopping season, many shipping companies are hiking the prices of several routes. For example, the cost of shipping a 40-foot container from Busan, South Korea to Los Angeles and the U.S. east coast have risen by about 55% and 50%, respectively. The Korea Maritime Institute expects shipping rates on routes from Busan to Europe to rise by 47% in the short term. A clause detailing steps in case of a dramatic rise in price or cost must be present in your contract library. Real-time access to the most up-to-date version of such a crucial clause demonstrates the importance of leveraging a Contract Lifecycle Management (CLM) solution to create, maintain, and distribute pre-approved contract templates and clauses to all contract managers across your enterprise. Lesson: Revise and update clauses that hedge contracts against extreme price changes and include them in your centralized library of contract clauses. An additional step is to set an automatic alert when terms in such clauses deviate from pre-approved contract language. Besides heading to U.S. ports, Hanjin ships were also heading to ports all over the world, including Shanghai and Xiamen in China and Valencia y Algeciras in Spain. The first two and the port Savannah, Georgia in the U.S. have blocked entry to Hanjin ships fearing that the South Korean company is unable to pay applicable tariffs. In those cases, what would be considered to be the “best efforts” or “commercially reasonable efforts” by parties involved in contractual relationships affected by the denial of port entry? The interpretation of “best efforts” and “reasonable efforts” varies greatly per jurisdiction. For example, courts in the State of New York find the terms “best” and “reasonable” interchangeable, while courts in the State of Delaware state that “best” sets a higher standard than “reasonable”. Negotiations on the terms of the contracts from the remaining vessels from Hanjin are ongoing and are likely to continue for many months, or even years. Getting a resolution on the current cargo aboard the ships is just the beginning; there is still the matter of the actual vessels. As the saga resulting from the Hanjin Shipping bankruptcy continues to unravel, take proactive steps to establish policies for your contract managers to deliver outstanding customer service for customers in distress, review and update existing clauses to hedge against extreme price variations, and review and localize best efforts clauses.